Healing Spaces, Modern Architecture, and the Body brings together cutting-edge scholarship examining the myriad ways that architects, urban planners, medical practitioners, and everyday people have applied modern ideas about health and the body to the spaces in which they live, work, and heal. 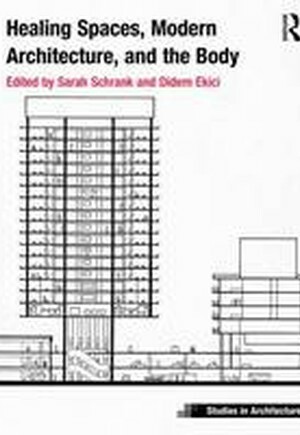 The book's contributors explore North American and European understandings of the relationship between physical movement, bodily health, technological innovation, medical concepts, natural environments, and architectural settings from the nineteenth century through the heyday of modernist architectural experimentation in the 1920s and 1930s and onward into the 1970s. Not only does the book focus on how professionals have engaged with the architecture of healing and the body, it also explores how urban dwellers have strategized and modified their living environments themselves to create a kind of vernacular modernist architecture of health in their homes, gardens, and backyards. This new work builds upon a growing interdisciplinary field incorporating the urban humanities, geography, architectural history, the history of medicine, and critical visual studies that reflects our current preoccupation with the body and its corresponding therapeutic culture.